I am interesting about palmistry and palm reading and would be grateful if you can help me about reading my palm. I would like to know if I have just short life line (number 1 on picture) and broken life line (number 2 on picture) or number 2 is fate line and not life line?? I would be grateful if anybody who know how to read from palm tell me something about life line and longevity, health from my life line. 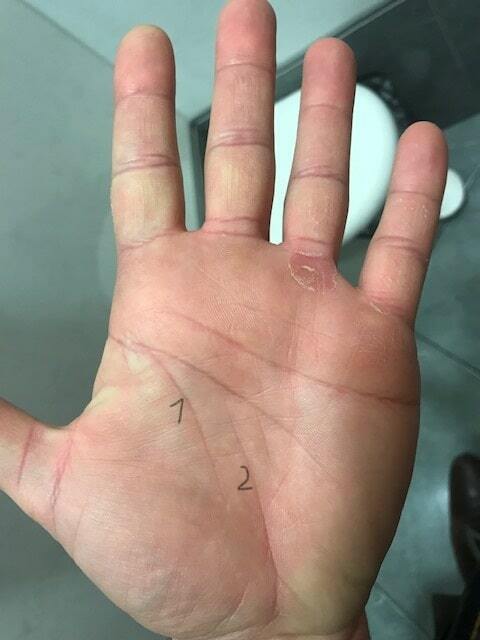 So is number 2 fate line or contiounation of life line (number 1). I am male, 35 years old, writing with right hand. Is it possible to read anything about my health or longevity from life lines? Thanks for all your answers and have a nice day. The life line is not broken its shorth in both hand . for longivity only life line is not seen even heart line is see which is fine . So number 2 on picture is not overlapped lifeline? 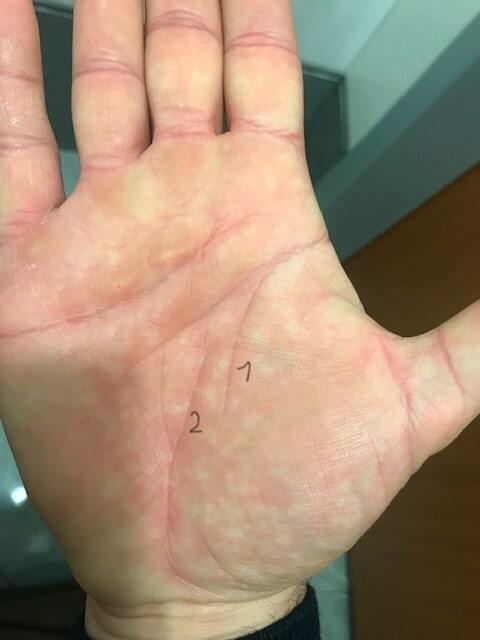 Thanks for your answer,is possible to read my palms about my health?